MyIVF is committed to providing you with the best science to try and help you achieve your dream of having a family. 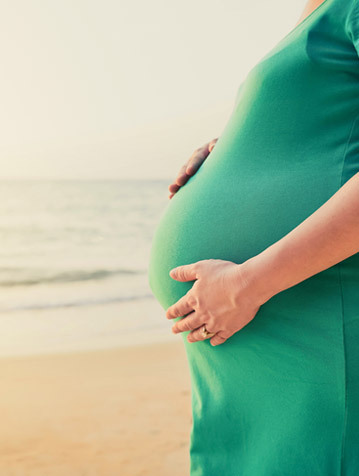 Leading medical evidence has shown that pregnancy rates are highest after using the method offered by MyIVF – extended embryo culture and transfer. By waiting until day four or five (morula or blastocyst) – as opposed to day two or day three (cleavage) stage – to transfer the embryo into the uterus, it has developed to a greater stage of maturity and shows it has better genetic potential to keep growing once implanted resulting in higher pregnancy rates. For more information about extended embryo culture and transfer pregnancy rates click here. Book your free consultation with a MyIVF Fertility Nurse today. Above pregnancy rates are for the period January 1 to December 31 2015. MyIVF clinical pregnancy rates are based on IVF and IVF with ICSI cycles with a fresh blastocyst embryo transfer. Clinical pregnancy rate is per the Australian and New Zealand Assisted Reproductive Database (ANZARD) definition. Success rates are impacted by factors such as age, weight and cause of infertility. Not all IVF cycles will result in an egg collection, embryo transfer or embryos to freeze. You can read more about success rates and choosing an IVF clinic from this handy guide written by Access. 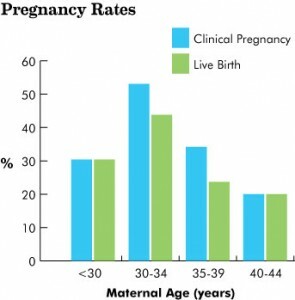 We have seen constant improvements in pregnancy rates due to the continuing quality systems we have introduced. We expect a further improvement in results as technology continues to improve. MyIVF is supported by the expertise of the Monash IVF Group, leaders in the field of reproductive technology.